The cherry kernel cushion is an old Swiss remedy, also called dry hot water bottle. The cushion of cherry stones, an old Swiss remedy, also called hot water bottle. Once heated, the cherry kernels restore a cozy, soothing and relaxing warmth. 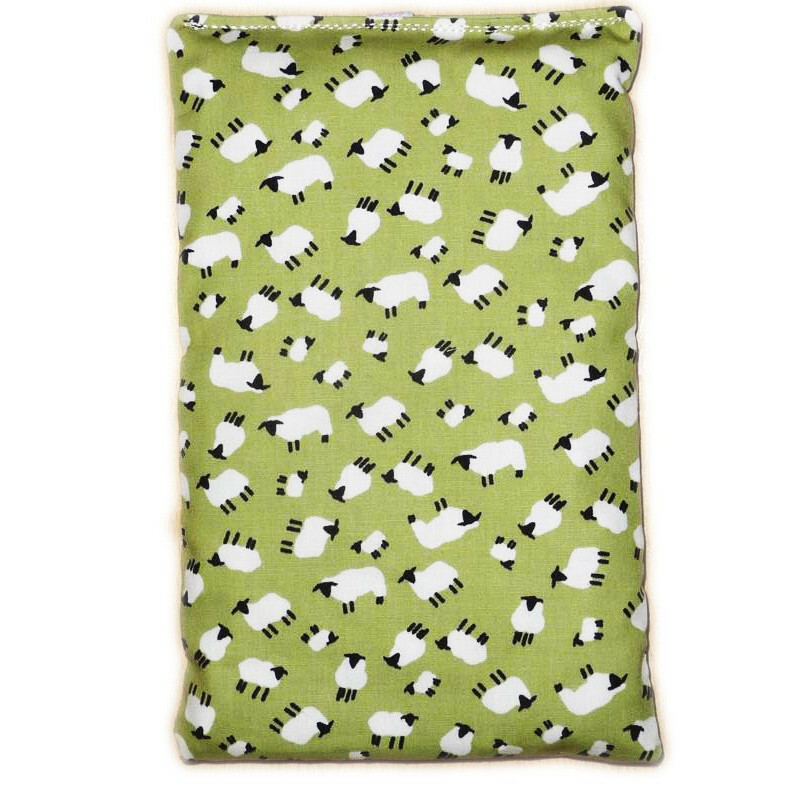 The dry hot water bottle is internally lined with plain cotton fabric. 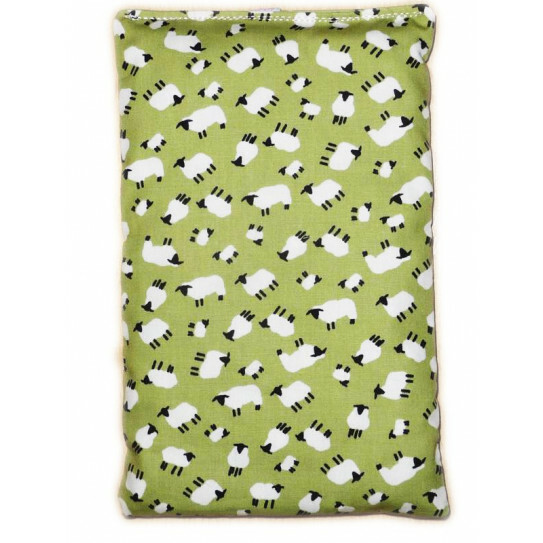 It has the advantage of keeping this heat for a long time and does not cool as fast as a traditional hot water bottle. It is ideal for babies, children and the elderly as there is no danger associated with boiling water. Once warm, it gives off a slight cherry scent. Slip it in a freezer bag and place it for at least 30 minutes in the freezer and it becomes a cold pack for the local applications required (apply on the part to be treated). In traditional oven : in a suitable dish between 8 and 10 minutes with medium thermostat (75 - 90 ° C). REASONS : "THE LITTLE SHEEP"